¨Every time you feel anxious because things are not happening the way you expected or wanted, take a deep breath and review your plan¨. State of Residency: VIC. Favourite place in Australia: Adelaide Hills. Upon arrival: Surprised by how he easily connected with Australians. 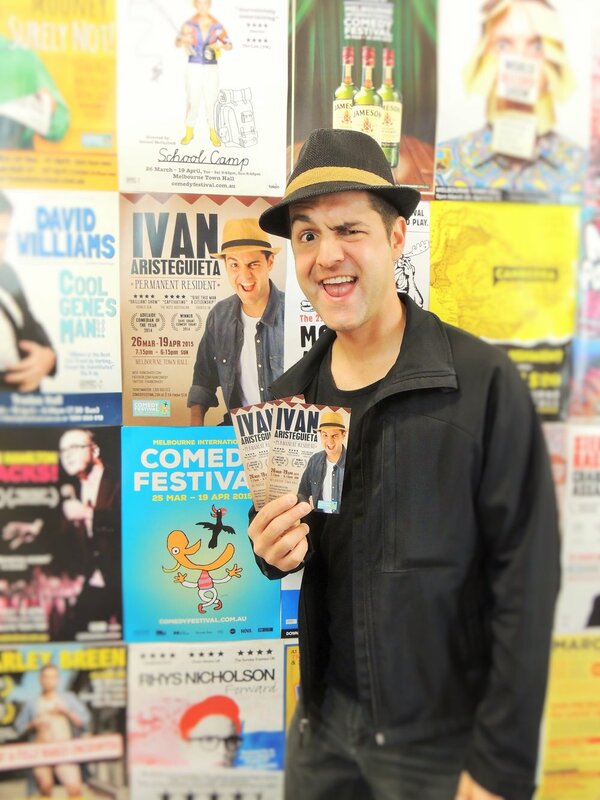 Ivan Aristeguieta is a household name in the Australian comedy scene. Despite being an immigrant and new to the comedy scene, he has already been invited to participate in two gala nights of the Melbourne International Comedy Festival [MICF]; the opening show of the Festival which is nationally televised. He has also been awarded the “Best Newcomer - Sydney Comedy Festival 2016” and the “Best Comedy - Adelaide Fringe Festival Weekly Awards 2017”. Recently he came together with other comedians to create a comedy gala fundraiser to send medical supplies to Venezuela. Set goals and make a plan – Whatever goal you want to accomplish in Australia, make a plan. Do your research and find out how long will take to reach your goal and what are the logic steps to get it. Create a sensible plan. Every time you feel anxious because things are not happening the way you expected or wanted, take a deep breath and review your plan. Around 2003 my wife at the time and I decided to move out of Venezuela for a few reasons: (1) Safety - like many Venezuelans I was a victim of crime, my car was stolen at gunpoint; (2) career change - I have a degree in Business but I wanted to do study something related to food processing; and (3) life experience - we wanted to change our environment and improve our English. So, on January 2004 we moved to Brisbane where we lived for two years while I studied a Diploma of Food Technology at Southbank TAFE. I had part time jobs including gardening, painting, building camping tents and as a singer in a band called “La Gran Salsa”. I also participated in a Latin American community radio show in Spanish called “La Esquina Latina”. After the completion of my degree, we moved to Spain where I studied Brewing and Malting technology and due to unplanned events we went back to Venezuela in 2007. 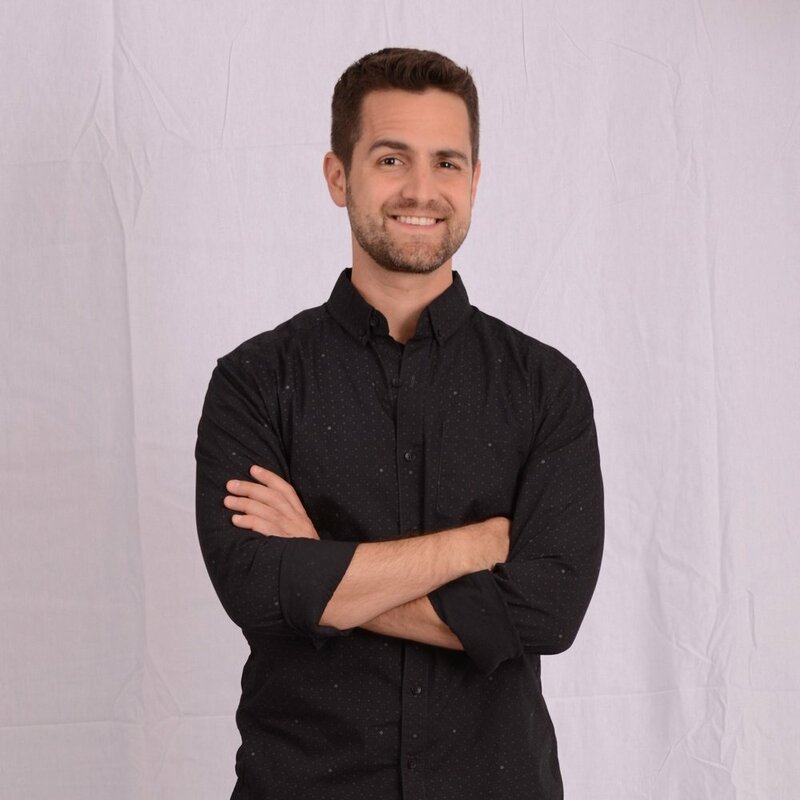 In Venezuela I worked in a commercial brewery and a friend advised me to start doing stand-up comedy. I fell in love immediately with stand up and kept doing it on a weekly basis; few years later I quit the brewery to become a full time comedian. The situation in Venezuela was getting worse, crime rates increased, economic instability and an authoritarian government, so we started to find ways to go back to Australia and we applied for the 475 (regional visa). In January 2012 we moved to Adelaide. Because I was focused in doing comedy in English I enrolled in a course at the Australian Radio School to gain confidence in speaking English in front of a microphone and to do networking on the field. In April 2012 I did my first ever open mic in English (5 mins on stage for amateurs). I continued writing comedy and doing open mics weekly. I had many “day jobs”. All of them related to food; from cooking in a Mexican restaurant to teaching food safety and principles of food processing in food factories. To work my way up on the comedy field, I contacted comedy promoters and traveled to different cities (all at my own expenses, as you don’t get paid for comedy until they make sure that you are funny and that you can keep an audience laughing for at least 20 mins). At the end of 2012, the associate director of the MICF saw me in a comedy night in Adelaide and chose me to be part of the 2013 comedy zone – a show that is produced by the festival and puts together the best up and coming comedians of the country. It was my first festival and this experience opened the doors for me to the Australian comedy scene. In 2014 I produced my first solo show in English “Lost in Pronunciation” at the MICF and Adelaide Fringe festival. That year, with the support of my wife at the time, I left my “day job” to travel around Australia to get paid gigs. I’ve presented a new show every year since: Permanent Resident, Chorizo Sizzle and Juithy. The last two with sold out seasons at the MICF. During the run of Permanent Resident I was contacted by Buxstock Comedy Management and have been working with them for the last two years. I am currently writing Season 2 of my TV show “Lost in Pronunciation” and I just recently moved to Melbourne. Separation – I’ve heard lots of stories of couples splitting up after they move to another country. That was my case as well. After 16 years of relationship my wife and I separated. Immigration changes you, we grew apart. It has been extremely difficult, and it’s a challenge very hard to overcome. Thankfully I love my job and comedy has kept me grounded during rough times. To be someone – Before coming, a lot of my friends suggested me not to move to Australia, as in Venezuela I was “someone”. I had friends and family and people recognised me as a comedian and as a radio announcer. For me, to be someone means: how many people will ask “hey, where’s Ivan?” if you disappear one day. So, the challenge was to become “someone” again; to make good friends and good relationships in Australia and spend time cultivating those relationships. Balancing between cultural groups – When immigrating, is very easy to stay inside social circles with people whom you share the same cultural identity. This is very important but also very tricky because is extremely comforting and easy to do. In order to immigrate properly and adapt to your new culture you must have a healthy balance between your social groups. In my case, the Latinos and the Aussies. Communication – We (Latinos) tend to give a lot of information when we speak. We give the full story, the details, even the drama. Australians are more concise and straight forward when communicate. It’s a big cultural shock when we hear people being too direct to us. Sometimes we take it personally. We see it as dry and impersonal. Most of the time is not about us, they are simply more efficient and not in the mindset for a soap opera. Freedom to change – I was very impressed to see Australians quitting their jobs to try doing new things without hesitation. They have a different mindset because the Australian system has like a safety net to prevent people from hitting rock bottom. This generates progress as it helps people to try things they are really interested in. In Latin America, we don’t have any benefits from the government, so people cling to a job forever and are afraid to give a go to anything new. If you made it all the way to Oz, you might as well do what you love. Ask questions – When you are in the middle of a conversation in English and you don’t understand what they are talking about, don’t be afraid to stop the conversation to ask things like; can you repeat that word? What is the meaning? How do you spell that? People will appreciate your interest and will make time to explain it to you. Remember, the squeaky wheel gets the oil. Set goals and make a plan - Whatever goal you want to accomplish in Australia, make a plan. Do your research and find out how long will take to reach your goal and what are the logic steps to get it. Create a sensible plan. Every time you feel anxious because things are not happening the way you expected or wanted, take a deep breath and review your plan. I have seen many people quitting too early without realising that they were on track. Listen and be humble – One thing is to believe in yourself and have a healthy self-esteem and another thing is to be stubborn and proud. If you keep hitting the same roadblock time and time again, you are probably doing something wrong. Open yourself up to constructive criticism and advice; listen to the experts and the people who care for you. Be humble and accept your mistakes. In my case, comedy is a very humbling experience. When the audience is not laughing is because you are not being funny, we need to listen to the audience and accept the horrible truth.